Because the one who is judged is man, man who is of the flesh and has been corrupted, and it is not the spirit of Satan that is judged directly, the work of judgment is not carried out in the spiritual world, but among man. No one is more suitable, and qualified, than God in the flesh for the work of judging the corruption of man’s flesh. 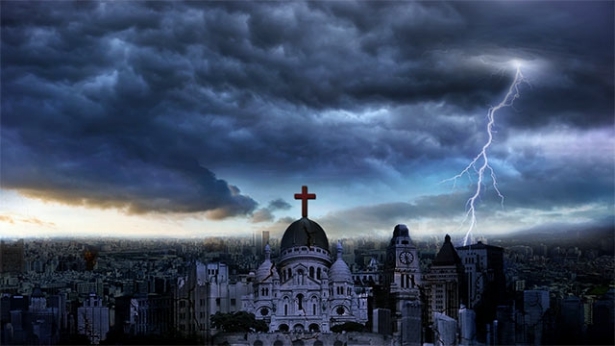 … Satan can only be fully defeated if God in the flesh judges the corruption of mankind. Being the same as man possessed of normal humanity, God in the flesh can directly judge the unrighteousness of man; this is the mark of His innate holiness, and of His extraordinariness. Only God is qualified to, and in the position to judge man, for He is possessed of the truth, and righteousness, and so He is able to judge man. Those who are without the truth and righteousness are not fit to judge others. My judgment of you today is because of your filth; My chastisement of you today is because of your corruption and rebelliousness. It is not to display power and prestige among you or to intentionally bully you, but it is because you who live in a land of filth have been sullied with so much filth. You have simply lost your integrity, your humanity, and you are no different from swine that live in the vilest of places. It is because of these things in you that you are judged and that His wrath is visited upon you. It is because of these judgments that you have been able to see that God is the righteous God, that God is the holy God. It is because of His holiness and righteousness that He has judged you and visited His wrath upon you. Because He can reveal His righteous disposition when seeing mankind’s rebelliousness, and because He can reveal His holiness when seeing mankind’s filth, this is enough to show that He is God Himself who is holy and without taint, but also lives in a land of filth. If He were a man who sullies himself along with others and if He did not have any elements of holiness or a righteous disposition, He would not be qualified to judge mankind’s unrighteousness or to be the judge of mankind. If man were to judge man, wouldn’t it be like slapping their own face? How could someone have the right to judge the same kind of person, who is just as filthy as they are? The only One who can judge all of filthy mankind is the holy God Himself, and how could man judge man’s sins? How could man be capable of seeing man’s sins, and how could they be qualified to condemn man? If God didn’t have the right to judge man’s sins, then how could He be the righteous God Himself? When people’s corrupt dispositions are revealed, He speaks out to judge them, and only then can they see that He is holy. For all of those who live in the flesh, changing their disposition requires goals to pursue, and knowing God requires witnessing the real deeds and the real face of God. Both can only be achieved by God’s incarnate flesh, and both can only be accomplished by the normal and real flesh. This is why the incarnation is necessary, and why it is needed by all corrupt mankind. Since people are required to know God, the images of the vague and supernatural Gods must be dispelled from their hearts, and since they are required to cast off their corrupt disposition, they must first know their corrupt disposition. If only man does the work so as to dispel the images of the vague Gods from people’s hearts, then he will fail to achieve the proper effect. The images of the vague Gods in people’s hearts cannot be exposed, cast off, or completely expelled by words alone. In doing so, ultimately it would still not be possible to dispel these deep-rooted things from people. Only the practical God and the true image of God can replace these vague and supernatural things to allow people to gradually know them, and only in this way can the due effect be achieved. Man recognizes that the God whom he sought in times past is vague and supernatural. That which can achieve this effect is not the direct leadership of the Spirit, much less the teachings of a certain individual, but the incarnate God. The conceptions of man are laid bare when the incarnate God officially does His work, because the normality and reality of the incarnate God is the antithesis of the vague and supernatural God in man’s imagination. The original conceptions of man can only be revealed through their contrast to the incarnate God. Without the comparison to the incarnate God, the conceptions of man could not be revealed; in other words, without the contrast of reality the vague things could not be revealed. No one is capable of using words to do this work, and no one is capable of articulating this work using words. Only God Himself can do His own work, and no one else can do this work on His behalf. No matter how rich the language of man is, he is incapable of articulating the reality and normality of God. Man can only know God more practically, and can only see Him more clearly, if God personally works among man and completely shows forth His image and His being. This effect cannot be achieved by any fleshly man. … Therefore, corrupt mankind is more in need of the salvation of the incarnate God, and is more in need of the direct work of the incarnate God. Mankind needs the incarnate God to shepherd him, support him, water him, feed him, judge and chastise him, and he needs more grace and greater redemption from the incarnate God. Only God in the flesh can be the confidant of man, the shepherd of man, the very present help of man, and all of this is the necessity of incarnation today and in times past. It is precisely because Satan has corrupted the flesh of man, and man is the one who God intends to save, that God must assume the flesh to do battle with Satan and to personally shepherd man. Only this is beneficial to His work. The two incarnate fleshes of God have existed in order to defeat Satan, and have also existed in order to better save man. That is because the one doing the battle with Satan can only be God, whether it be the Spirit of God or the incarnate flesh of God. In short, the one doing the battle with Satan cannot be the angels, much less can it be man, who has been corrupted by Satan. The angels are powerless to do it, and man is even more impotent. As such, if God wishes to work the life of man, if He wishes to personally come to earth to work man, then He must personally become flesh, that is, He must personally put on the flesh, and with His inherent identity and the work that He must do, come among man and personally save man. If not, if it were the Spirit of God or man that did this work, then this battle would forever fail to achieve its effect, and would never end. Only when God becomes flesh to personally go to war against Satan among man does man have a chance of salvation. Furthermore, only then is Satan shamed, and left without any opportunities to exploit or any plans to execute. 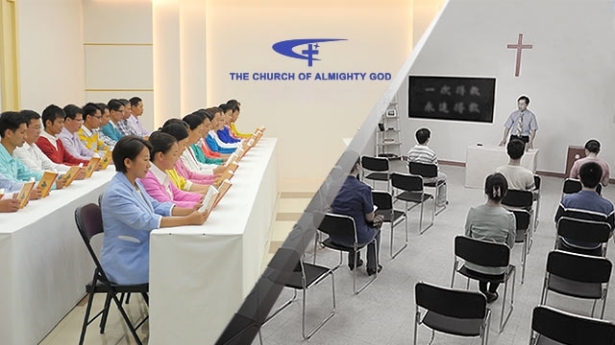 The work done by God incarnate is unachievable by the Spirit of God, and even more incapable of being done on God’s behalf by any fleshly man, for the work that He does is for the sake of the life of man, and in order to change the corrupt disposition of man. Were man to participate in this battle, he would only flee in woeful disarray, and would simply be incapable of changing the corrupt disposition of man. He would be incapable of saving man from the cross, or of conquering all of rebellious mankind, but only be able to do a little old work according to principle, or else work that is unrelated to the defeat of Satan. So why bother? What is the significance of work that cannot gain mankind, much less defeat Satan? And so, the battle with Satan can only be carried out by God Himself, and is simply incapable of being done by man. Man’s duty is to obey and to follow, for man is unable to do the work of opening up a new epoch, nor, moreover, can he carry out the work of battling Satan. Man can only satisfy the Creator under the leadership of God Himself, through which Satan is defeated; this is the only thing that man can do. And so, every time a new battle commences, which is to say, every time the work of the new age begins, this work is personally done by God Himself, through which He leads the entire age, and opens up a new path for the whole of mankind. Next：What are the essential differences between the incarnate God and those who are used by God?